India is a land of great scenic beauty: Lush green forest, beautiful valleys, undulating hills, sparkling mountain streams, magnificent lakes and major rivers. The great mountain ranges and rivers of India creates few of most beautiful valley’s in the world. 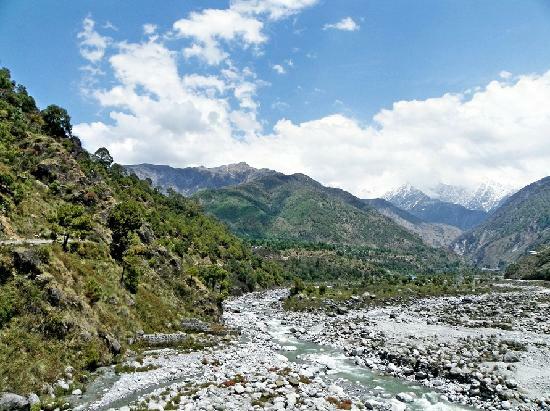 Some of the best valleys in India are chamba valley, chopta valley, damodar valley, narmada valley,tons valley and sutlej valley, these are heaven for the nature lover and also for trekkers. These valleys also offers astonishing waterfall, stunning flowers and national park to provide home for variety of flora and fauna. The stunning valley of Kashmir is known for its great mountains covered with lush green forest ranges, snow covered hills, rivers and pastures. Vale of Kashmir lies between Himalayas and the pir panjal range, formed by the Jhelum River. The 135 km long and 32 km wide valley is also known as paradise on earth. Most popular tourist places around the valley are Gulmarg hill station, Dal Lake, and the Amarnath Temple. 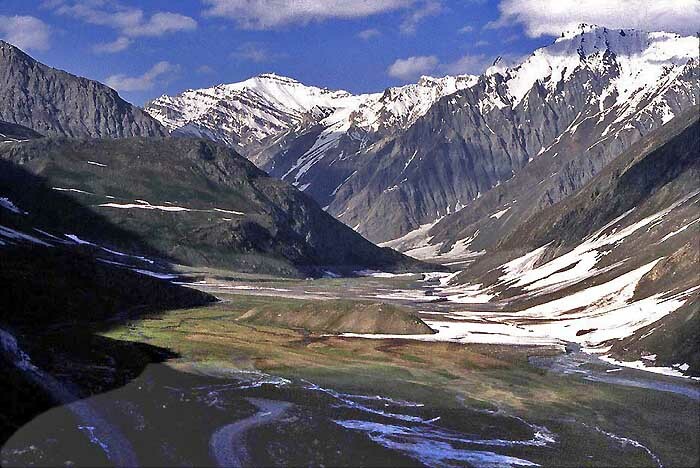 Another beautiful valley in region of Jammu and Kashmir is the suru valley situated in Ladakh drained by the suru river. The Himachal is all about Himalayas and has many beautiful valleys like spiti valley, sangla valley and chamba valley. The beautiful kangra valley is filled with numerous perennial streams and surrounded by dhauladhar range the white mountains,tea gardens and pine trees. Kangra valley is also know for palampur hill station, kangra temples, beautiful kangra fort and Dharamsala home of the Dalai Lama. 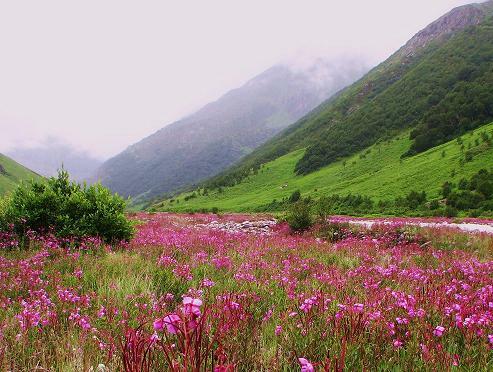 The valley of flowers is a beautiful land situated in the high himalayas of Chamoli district of Uttarakhand. When the sun shines hot in the sky thousands of different beautiful flowers bloom in the land of outstanding natural beauty. 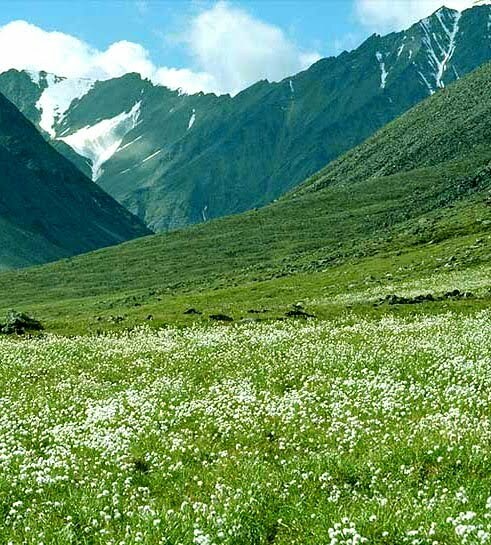 The valley of flowers also host Nanda Devi and valley of flowers national park, which is home to rare and endangered wild animals, including the snow leopard,brown bear, Asiatic black bear and blue sheep. A trek of about 17 km requires to get into the valley of flowers from joshimath in garhwal. Another valleys in this region is doon valley, located in sivalik hills in Dehradun. 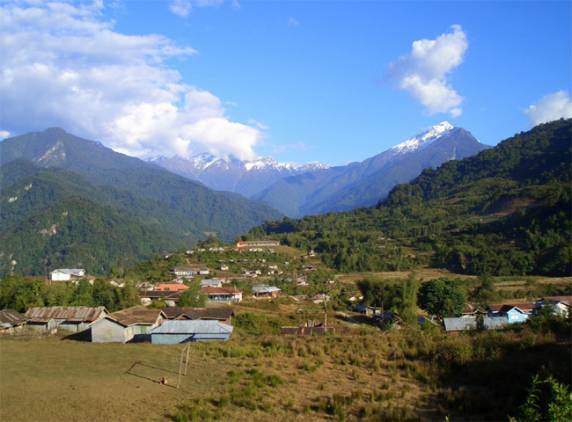 Dibang valley named after the dibang river, originates in the mountains and flows through the length of the valley. The valley is divided into upper valley and lower valley, The upper valley doesn’t have much attractions but lower valley offers unique attraction for everyone- tourists, nature lovers, adventure anthropologists, and wildlife photographers. The youngest valley of state is very rich in wildlife, rare species of mammals such as red goral, mishmi takin and gongshan while among birds flying squirrel and horn bills. 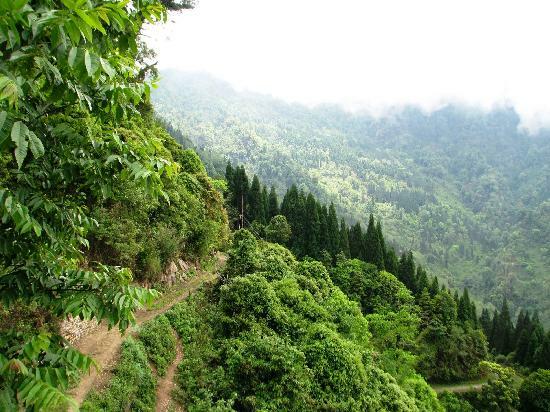 The most beautiful and charming valleys of Nagaland, located at the border of the Indian states of Manipur and Nagaland. The dzukou valley is well known for its wonderful trekking spots and breathtaking natural sanctuary. Dzukou valley located behind the Japfu peak and entire valley is overshadowed with a type of tough bamboo and abundant natural beauty. During the winter,valley hills are covered with snow and in later season it seems like a carpet of wild flowers. Neora valley is located in the Kalimpong hills, still-unknown terrain of Darjeeling district in West Bengal. The journey begins through the widespread lush green tea gardens,rolling hill slopes to the dense forest of Neora valley. Neora valley is one of the virgin wilderness in the country with enchanting streams, astonishing waterfalls and unique species of wild animals. The Neora valley national park is known for land of red panda, golden cat, himalayan flying squirrel and clouded leopard. The valleys of south India is located near the Visakhapatnam district, The hill station got an amazing nature beauty with rich landscape, coated with lush green forests and famous coffee plantations. 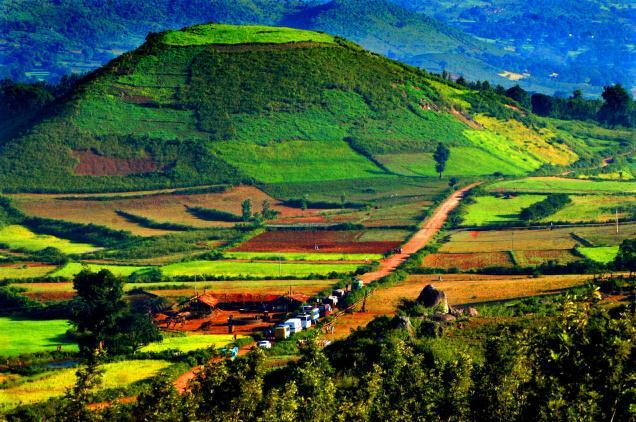 The amazing valley also host araku and borra caves, sparkling waterfalls,wealthy landscape and lovely weather. In the eastern ghats the valley is home to tribal people, other attraction includes tribal museum which showcases tribal handicrafts and lifestyle. Ketti velly, The second largest valley in the world is located on the main Coonoor to Ooty road in Tamil Nadu state. 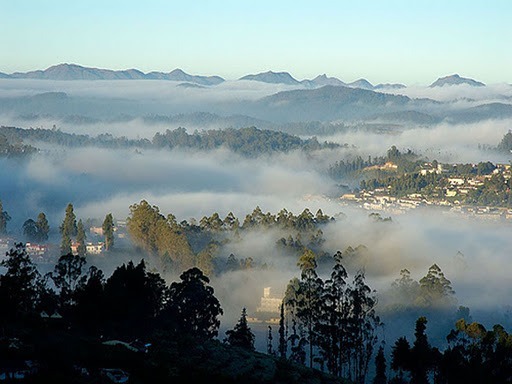 The valley view point in Ooty is a famous tourist center which has an spectacular view of the big and beautiful ketti valley and blue mountains. 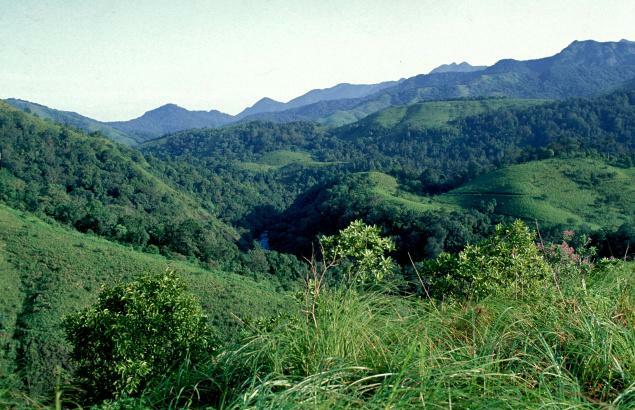 The nilgiri mountains or blue mountains are part of a larger mountain chain known as the western ghats, It is best place for hiking, bird watching and trekking. Another beautiful valley in this region is elephant valley situated near Kodaikanal. The God’s own country host one of the most beautiful valley known as silent valley national Park. Silent valley area is located in the nilgiri hills of south western ghats and known as evergreen natural rainforests in India. The valley has breathtaking beauty and treasure of various rare plants and endangered species of wild animals,birds and insects. 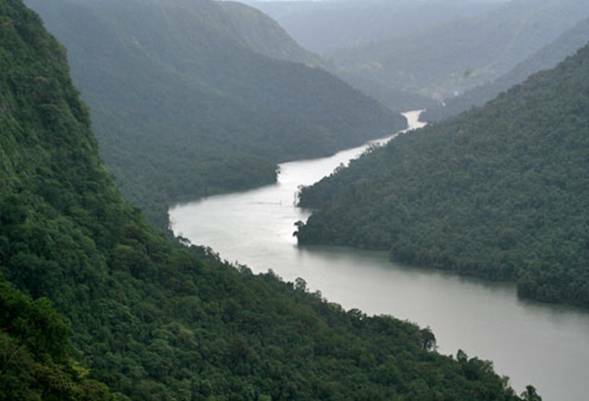 The unexplored Sharavathi valley is formed by Sharavathi river in the Shimoga district of Karnataka. Attraction of this region are The famous jog falls formed by Sharavathi river and Sharavathi valley wildlife sanctuary. Sharavathi valley is also known for one of the best destination for trekking and aqua sports in India. Sharavathi valley is an ideal place for nature lovers do discover and explore the tranquil area. 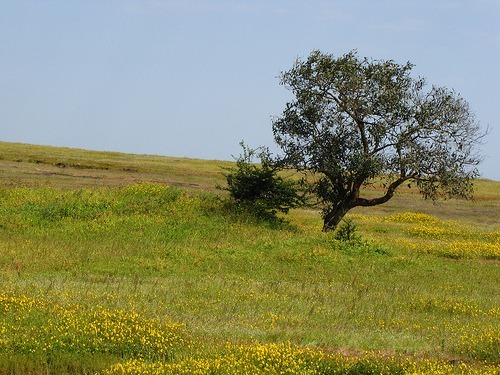 The famous kas plateau or the valley of flower of Maharashtra is situated in Western Ghats near satara District. Kas Plateau is well known for its unique different colors and variety of flowers, spread over acres of land. After the monsoon the valley is covered with millions of tiny flowers and seems like widespread carpet of flowers. The plateau of flowers also has a lake known as Kaas lake, which add the scenic beauty to the flowering carpet. Apart form the above listed valley’s there are so many un explore valleys are exist in the depth of mountains and river. Few of most amazing valleys are The Spiti Valley a desert mountain valley in Himachal ,Yumthang Valley of Sikkim a grazing pasture and the most famous Chambal Valley. The newest in addition include the flower valley of Kerala where Neelakurinji flower blooms once in twelve years can be seen on the hill ranges of Munnar, The rare purplish-blue flower will bloom in year 2030.